The announcement came just days after the Orlando park removed a blockage of plastics from a sea turtle's stomach. 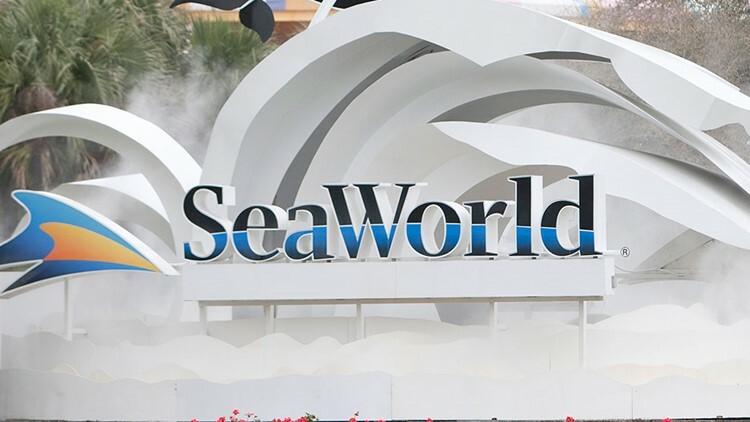 ORLANDO, Fla. -- SeaWorld has removed plastic drinking straws and plastic bags at all 12 of its theme parks, the company announced last week. In place of plastics, the parks use reusable cloth bags decorated with aquatic wildlife and paper straws at some of the restaurants and concession stands. “This milestone environment achievement is a testament to our mission to protect the environment, the ocean and the animals we share our planet with, which are currently threatened by unprecedented amounts of plastic pollution,” John Reilly, the interim chief executive officer for SeaWorld, said in a release. The Ocean Conservancy estimates that 8 million metric tons of plastics make their way to the ocean each year, and too much of this plastic is making its way into the diets of marine animals like sea turtles, fish and birds. The announcement came just days after the Orlando theme park rescued a green sea turtle named Colin. Members of the park’s rescue operations team found a blockage of ocean debris and plastic in Colin’s stomach. In the gift shops, cloth bags start at 99 cents and paper bags are 10 cents. Participating parks include all SeaWorld-named parks along with Sesame Place, Adventure Island, Water Country USA, Discovery Cove Orlando and Busch Gardens Williamsburg and Tampa Bay.